Every April 1st we know it’s coming; the tricks, gags and one-liners but we still find ourselves falling hook, line and sinker. This year is no different with brands stepping up the subtlety as they try and hoodwink the more hyper-aware consumer. With customers more spoilt for choice than ever, injecting a little personality and humour into campaigns - especially on this day - is a great way to draw them to you and for you to further cement your brand identity as one they enjoy not only shopping but interacting with. 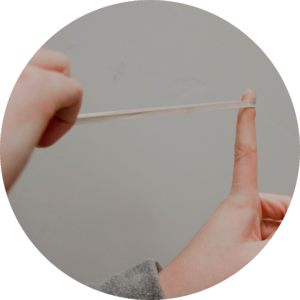 This blogpost showcases four of our favourite campaigns from the day and highlights how you can still encourage purchases even when the product that drew them in may not exist. The premium cycling retailer decided to prank its customers by promoting the VEL smart bottle cap - which is actually not yet in production - to its customers. Once adding the item to basket they were greeted by an overlay noting to them that they had been tricked but to add some respite to the bluff the brand sent an abandoned browse campaign with the available products from the sought-after VEL brand to those who had clicked through to purchase the bottle cap. 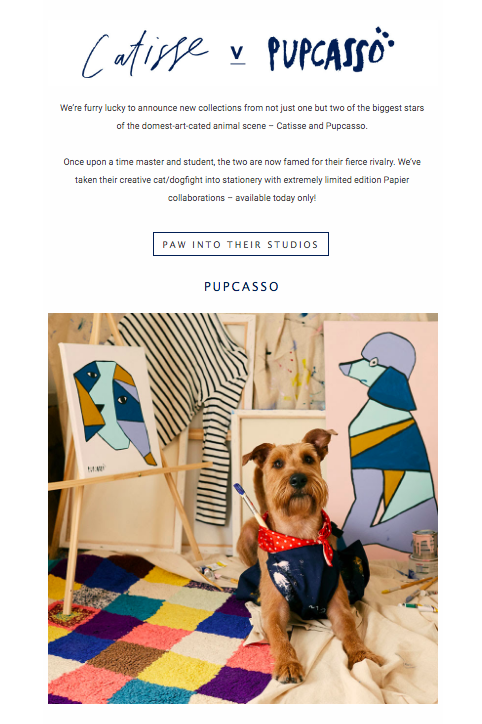 Trendy stationery brand Papier decided to add a little humour to their subscribers inboxes and invited them to browse and purchase from their furry artist friends Pupcasso and Catisse who had released their own line of stationary, painted by paw. The adorable campaign encouraged shoppers to purchase from their range with the proceeds all going towards a famous animal charity. Is still on brand as it matches to the stationary brand's tailored and individualistic aesthetic, even if the artists behind it don't have opposable thumbs. The online homeware emporium teased its customers with one of its staple products - artwork. The campaign offered scented pieces for purchase and once customers clicked through on the CTA, they were greeted by a pop-up letting them know they had been April fooled with the prints still available for purchase sans smell. The state-side men’s clothing brand decided to take their prank-playing to new heights. Famous for its workout wear, Rhone decided to sell the brand new breathable shirt for $100,000 and if that wasn’t enough of a shocker - it’s invisible. On clicking through to the shirt, shoppers were able to see the details of the impractical invisible shirt, suitable for all sizes and skin tones, for obvious reason. Sure to tickle those who clicked-through. A brilliant and outlandish campaign, that although will lead to no purchases - at least we hope not - create a positive image of the brand, one that does not take itself too seriously and can add laughter to its customer's day. Although some of the items are not real, instead of leaving customers with disappointment there is always a way to create an experience the customer will love - whether a chance to see the personality of the brand or be further encouraged to purchase other readily available items without having to search for them.